The Q in LGBTQ can stand for queer and questioning. As it relates to queer identification, “queer” is a flexible reference that can mean many things. In the past queer was an insulting negative descriptor used against members of the LGBT community. It was then reclaimed by LGBT’s and redefined as a badge of pride, disarming its weaponized usage. Queer is an umbrella term that can include lesbians, gay men, those who are bisexual and people who are transgender, but it also widens to encompass anybody who doesn’t conform to the norms of society’s conceptions of gender identity and sexuality. Various forms of non-conforming sexuality can include asexual, demisexual and pansexual. Someone who is asexual may not feel any kind of sexual attraction to anyone. Pansexuality is attraction that isn’t confined to gender. For example someone who is pansexual can find themselves attracted to men, women or someone who is male or female transgender. The sexual attraction arises more so from a person’s personality rather than the features of their gender. On similar grounds, someone who is demisexual will typically only develop a sexual attraction to a person after a strong emotional bond is formed first. 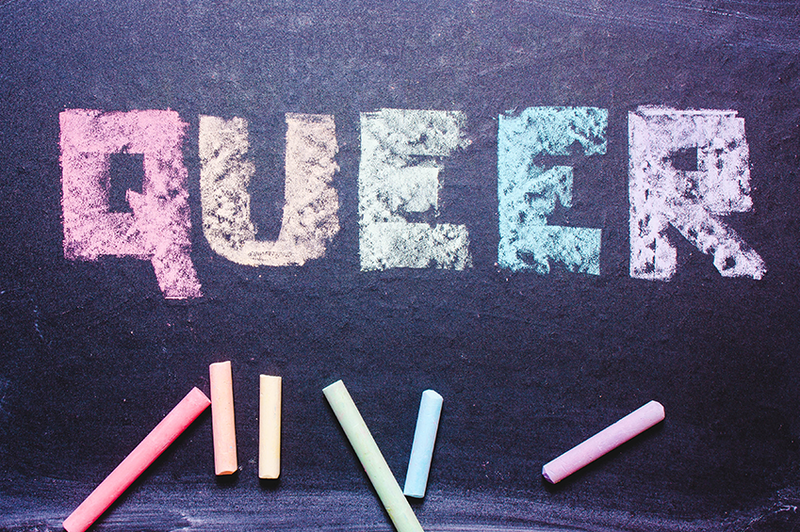 As the letter Q in LGBTQ is associated with someone who identifies as questioning, it means to be in a stage of exploration and discovery of one’s personal sexual preference and gender identity. Often this is something someone undergoes in their adolescence and young adulthood, but it is not confined to that age bracket. In relation to one another, queer and questioning, similarly, may not feel a need to identify with any particular sexual orientation or gender identity and they may experience both as having a more fluid than fixed nature. Being different and deviating from what society has defined as “ordinary” can always likely lead to feelings of alienation. Especially with youths, feelings like these can carry trauma and often young people will turn to drugs and alcohol to deal with difficult experiences. This is where the thread of addiction can begin. It is an unfortunate reality that shame and self-doubt are common components of the human condition. We can all fall into the trap of trying to hold ourselves up to an imagined ideal of what is ordinary when the fact is we are all so intricate and complex that each and everyone of us can only fittingly be described as extraordinary. The focus at Inspire Recovery is people. No one should have to reside in the hopelessness of addiction and alcoholism. Everyone deserves to shine and live a life that is in alignment with their incredible potential. When it comes to addiction and alcoholism treatment, the LGBTQ community has been under-served. Inspire Recovery is tackling that issue and correcting it. It is a place where all are given the opportunity to recover. Whether someone falls under the queer and questioning category, or no category at all, all are welcome. Anyone struggling through the suffering of drug addiction or alcoholism deserves the opportunity to recovery. Please contact us today.